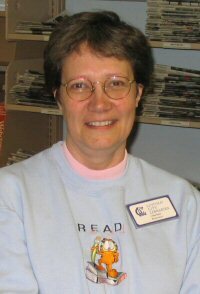 Reviewer Profile – Charlotte M.
“My mother is an avid reader and, through her example, passed that on to me. She read to us each night from an early age; I still have most of my early books. When I was just learning to read she enrolled me in a Book-of-the-Month program that regularly sent an “I Can Read This All By Myself” book in the mail. The first book I remember reading by myself was “Go, Dog, Go” and it remains one of my favorites. I progressed from Seuss to “Little Black Pony” by Walter Farley along with his Black Stallion series, the Golden Stallion series by Rutherford G. Montgomery, horse books by Marguerite Henry, and the Hardy Boys mysteries. Classic movies influenced my reading as well which is why I read “Spartacus” and “Gone with the Wind” while still in elementary school. Books are very important to me; they teach and entertain, and allow one to forget the world and relax. I listen to books-on-tape while running errands around town, quilting, or doing chores around the house. I have my favorites that I revisit once a year (“On the Night of the Seventh Moon” by Victoria Holt, “Busman’s Honeymoon” by Dorothy L. Sayers, or almost any Ellery Queen, Rex Stout, or Holmes mystery), otherwise I go with my mood. I enjoy murder mysteries, biographies, and non-fiction. I prefer cozy mysteries and old-style mysteries, not hard-boiled or gory. Several classic science fiction/fantasy titles are also favorites. I prefer series. If I like the characters, I wish to continue that relationship in subsequent stories. I avoid sad books (you won’t find me re-reading “Old Yeller”) or books that make you outraged over injustices – too much of that in the real world, I don’t need to be “entertained” by it.